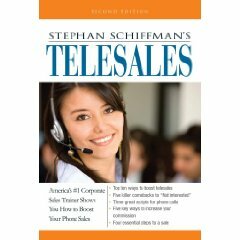 In Stephan Schiffman book, Telesales, he talks about the five ways you can increase your income. In my last blog I said that you needed to measure your dials, discussions, presentations, and number of sales. Let’s say you track your calls and you have the following ratios. You make 15 dials in an hour, you typically have six discussions which result in three presentations and the final outcome is one sale. So how can you increase your income? In theory you could double your income if you made twice the number of calls. But is this possible? It may surprise you that there are call management telemarketing dialers like our Acarda Outbound Team and Acarda Outbound Solo tools that can double your productivity over manual dialling. Speaking to more decision-makers will also increase your income. By intelligently focusing your call backs, the time of the day you call people back, and using voice mail messaging strategically you can have discussions with more decision-makers. Finding a way to have more decision-markers allow you to do presentations will also increase your sales. You could hone in on the “hooks” that make decision makers interested in learning more about your product or service. What makes anyone allow you to present to them? What catches their interest? Now if your current ratio is one sale for every six discussions then if you could increase that ratio to say one sale for every five discussions that will increase your income. While that may not be as easy as it sounds if you can learn to close the presentation better maybe you can do this? Finally you can increase your income by increasing the value of what you sell. That might be learning to promote the benefits of the advance edition of a product rather than defaulting to the standard edition all the time. Or maybe you can sell an extra product, an extended warranty or some other complementary service. You don’t have to improve all five areas to increase your income but if you start monitoring your ratios and thinking about each of them you may be able to find some ways of gaining small increases which overall can significantly increase your outcomes.